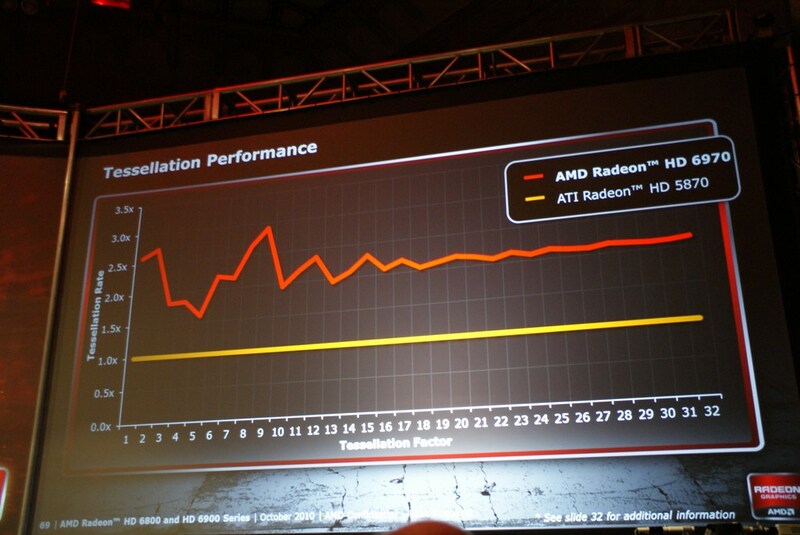 Massive Slide Leak Details upcoming AMD Radeon HD 6900 Series GPU's. 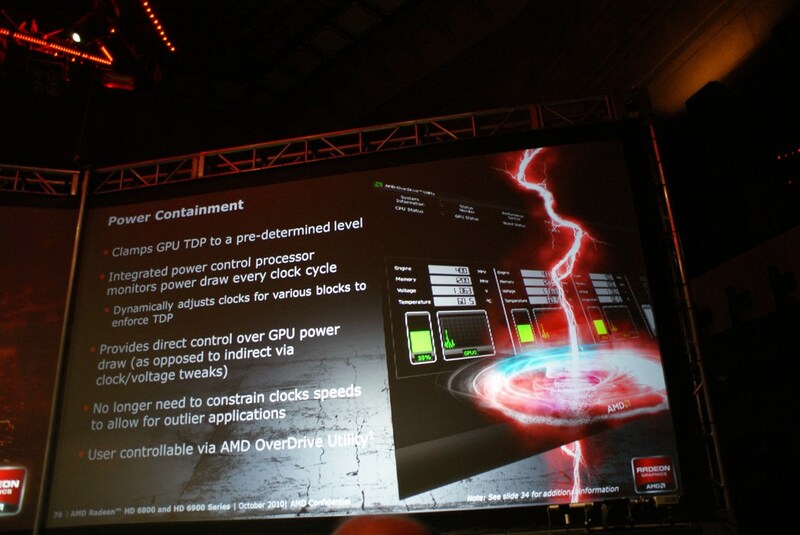 Massive Slide Leak Details upcoming AMD Radeon HD 6900 Series GPU’s. 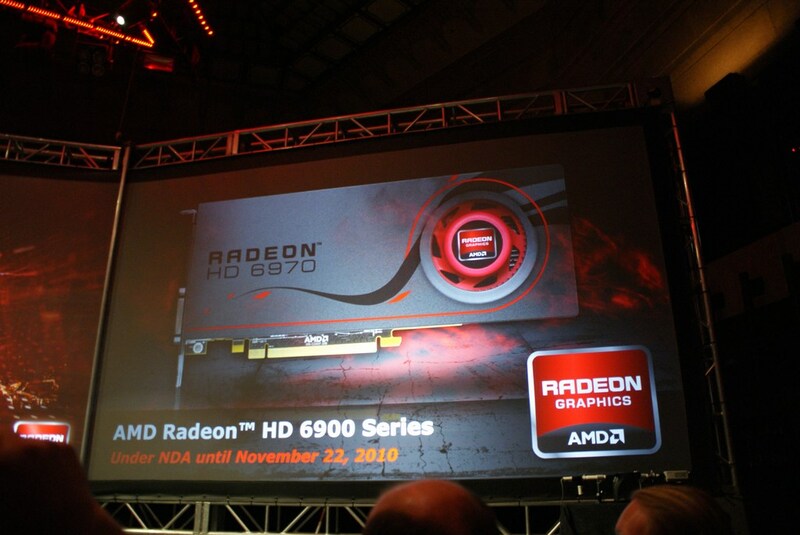 Not a few but a whole bunch of Slides have been leaked which have detailed the specs and architecture of the upcoming AMD Radeon HD 6900 Series cards. 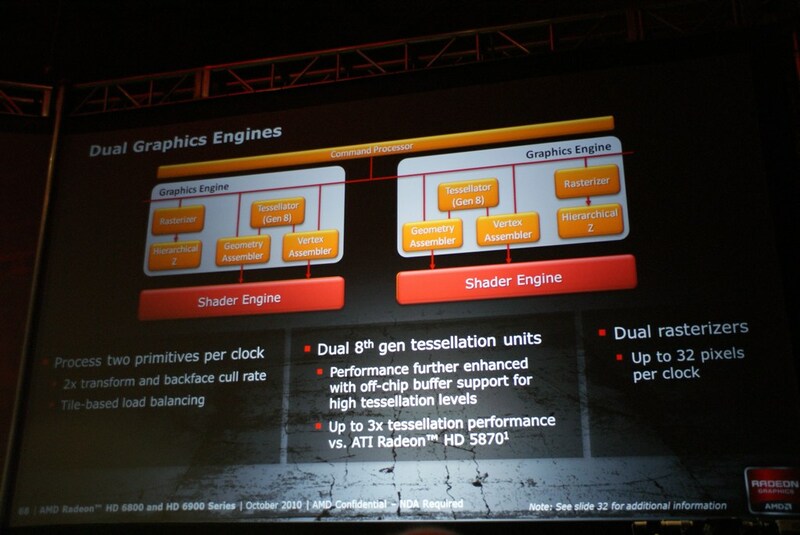 These include both the Cayman based and the Antilles based Dual Chip Graphic Cards. 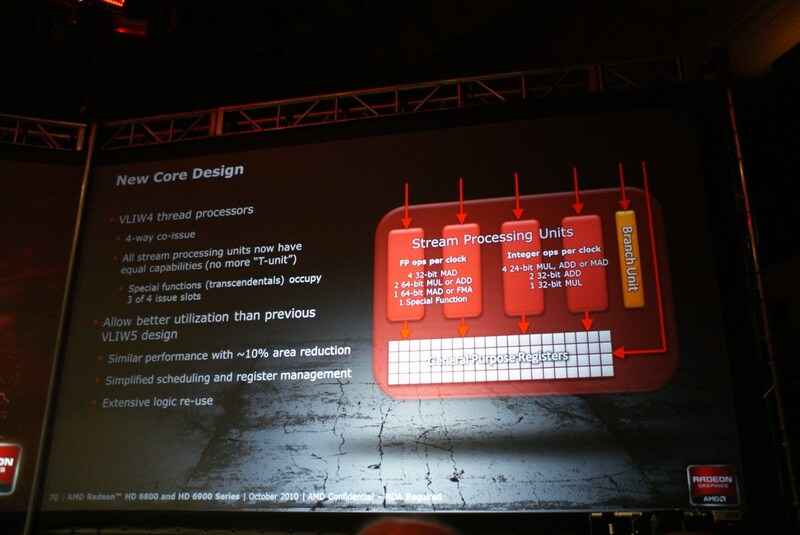 AMD said that it will feature a new architecture in its new 6000 series card but the Barts based 6800 Series brought no new difference which continued to maintain the VLIW5 configuration (comprising of SIMD units with 4 simple and 1 complex stream processing units). 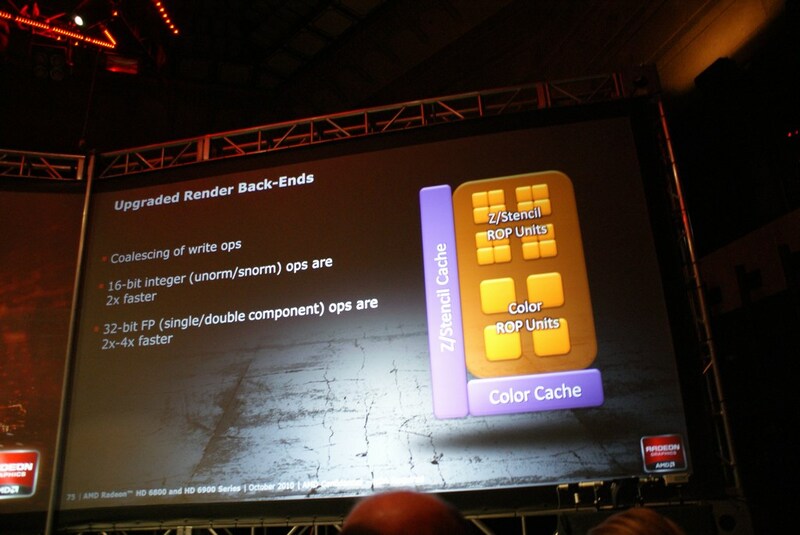 However, Recent Slides have revealed that AMD had reserved that newer architecture for its High end Series or the HD 6900 Series based Cayman Cards. 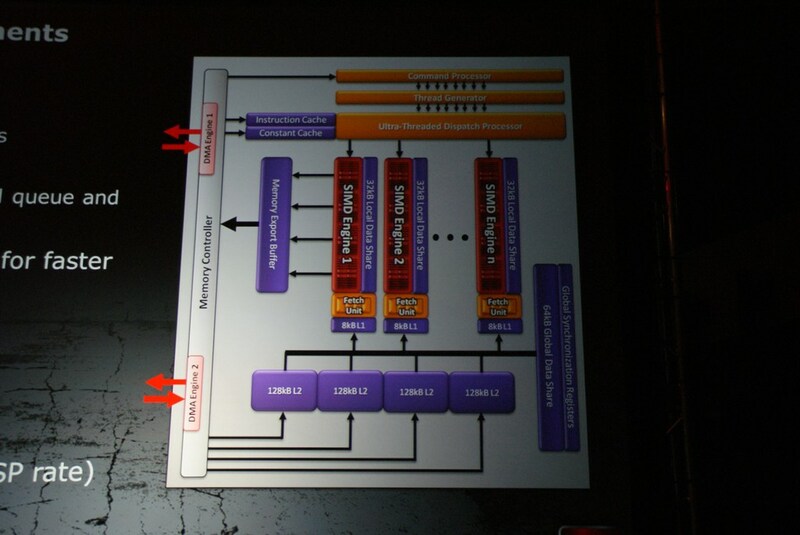 The new cards will feature the VLIW4 architecture in which equipotent stream processing units are arranged in groups of four along with general purpose registers. 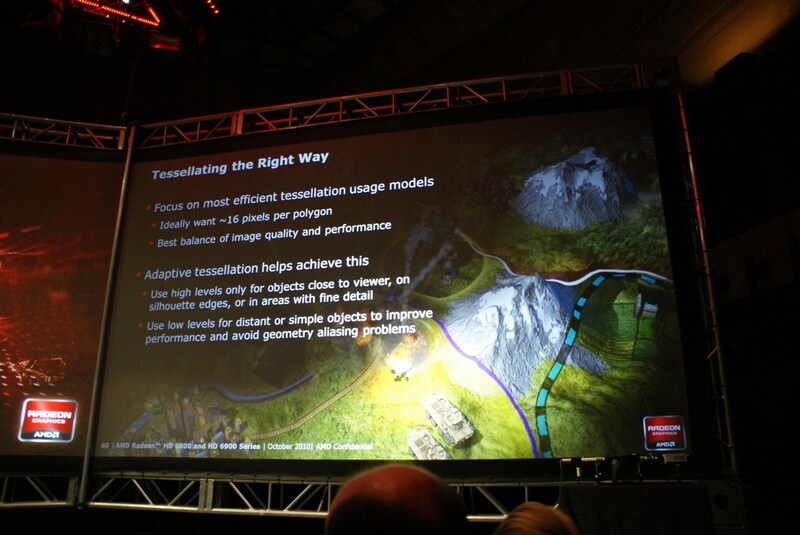 Also to be noted that the VLIW4 will provide the same amount of performance while reducing the die area size by 10%. 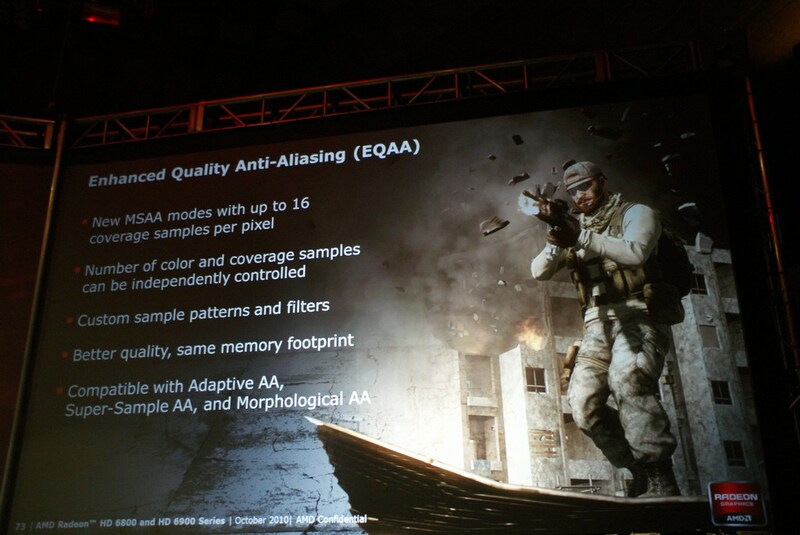 Also tessellation performance in new cards will be increased by 3-4x as compared to the previous generation cards. 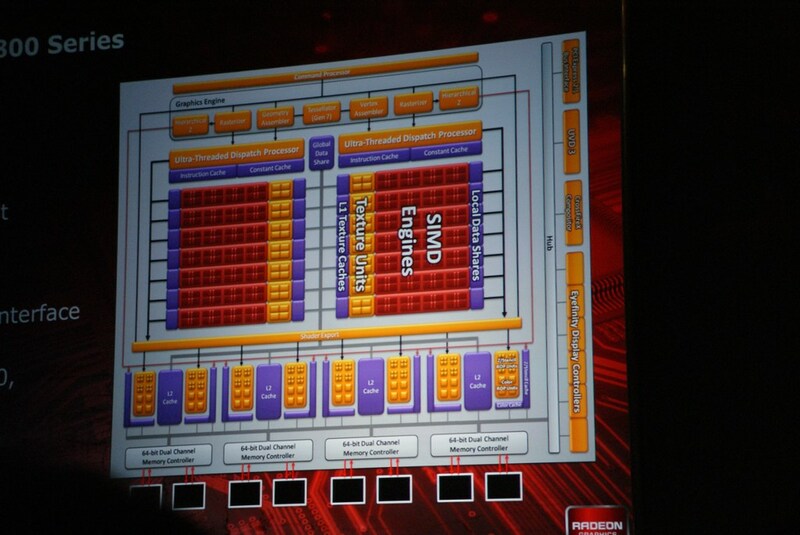 The card will feature 128 Z/Stencil ROPs, and 32 color ROPs, with up to 2x faster 16-bit integer operations and 2-4x faster 32-bit floating point operations. Cayman XT – 1920SP, 900Mhz core, 6GHz GDDR5, 3.5 TFLOPS. Cayman PRO – 1536 SP, 800Mhz core, 5Ghz GDDR5, 2,5 TFLOPs. 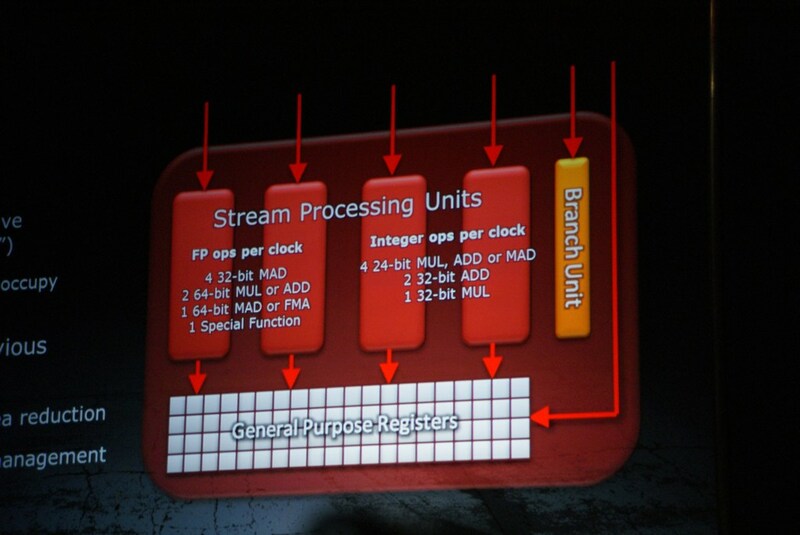 Cayman Pro is supposed to have – 1536SP, 800Mhz core, 5GHz GDDR5, 2.5 TFLOPS. The Cayman XT will be AMD’s fastest Single Chip GPU yet featuring a massive 1920 SP while boasting 32 ROP units and is capable of outputting 32 pixels per clock, which is less than GTX 580 and their 48 pixels/clock. 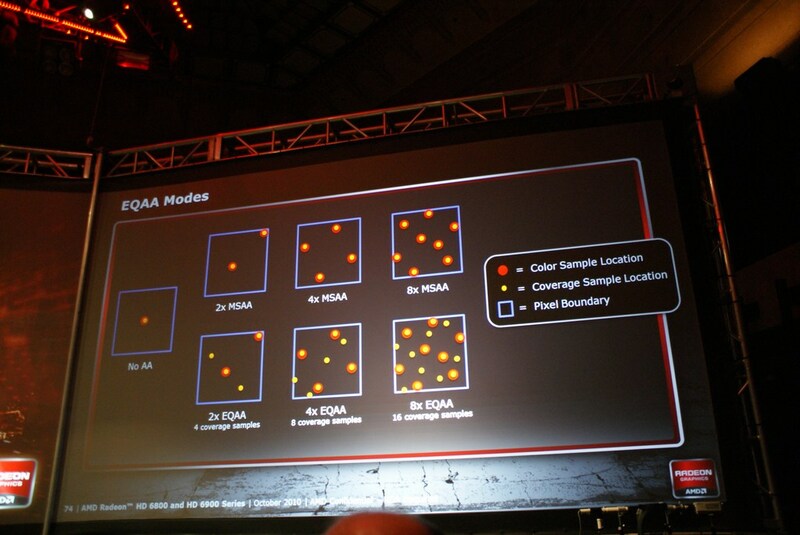 The number of texture units is set at 96, up from 80 on Evergreen and 64 on GTX 480 and GTX 580. Both of these cards are set for launch on December 12th. 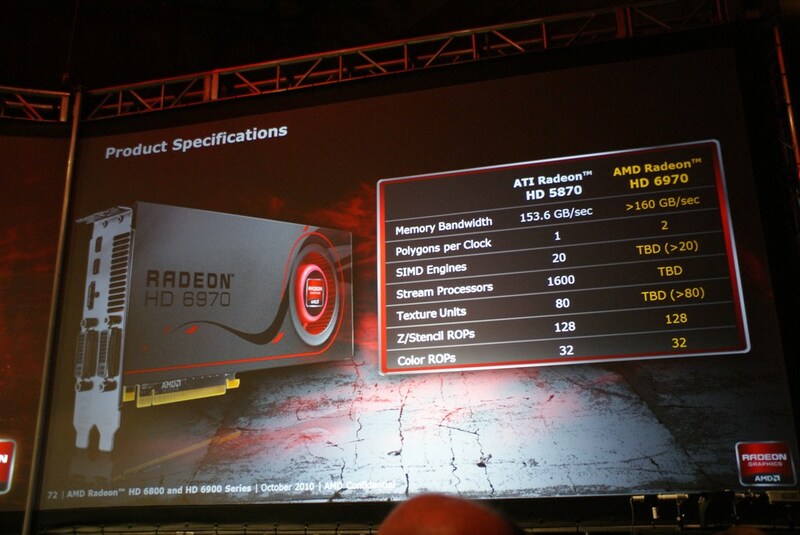 Now coming to the Antilles based AMD’s HD6990 Flagship card. The Dual Cayman Chi based card will hold 3840 stream processors along with a 4GB GDDR5 memory, The HD 5970 had only 3200 Stream Processors so you can imagine the amount of computing performance of 6 TFLOPs from this card. 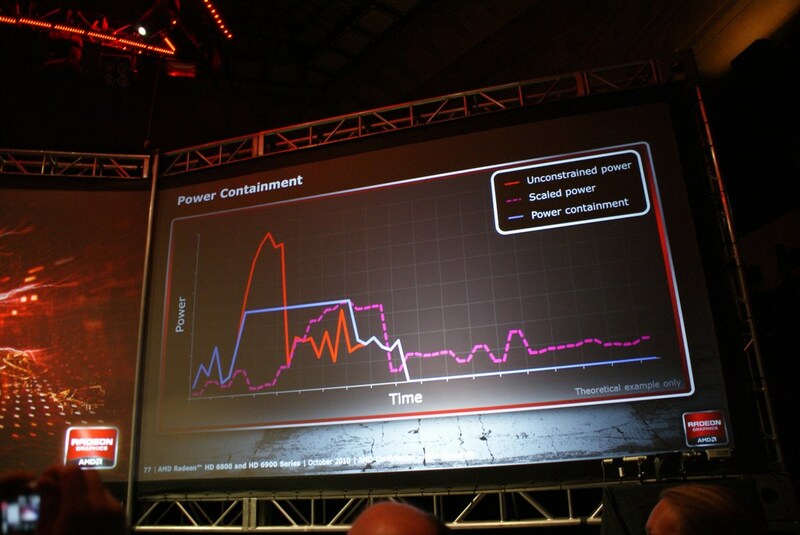 The memory bandwidth of the card is 307.2Gb/s, Idle and Load power is around 30/300w respectively. The card includes a pair of DVI ports and three Mini DisplayPort connectors for five-monitor Eyefinity gaming. 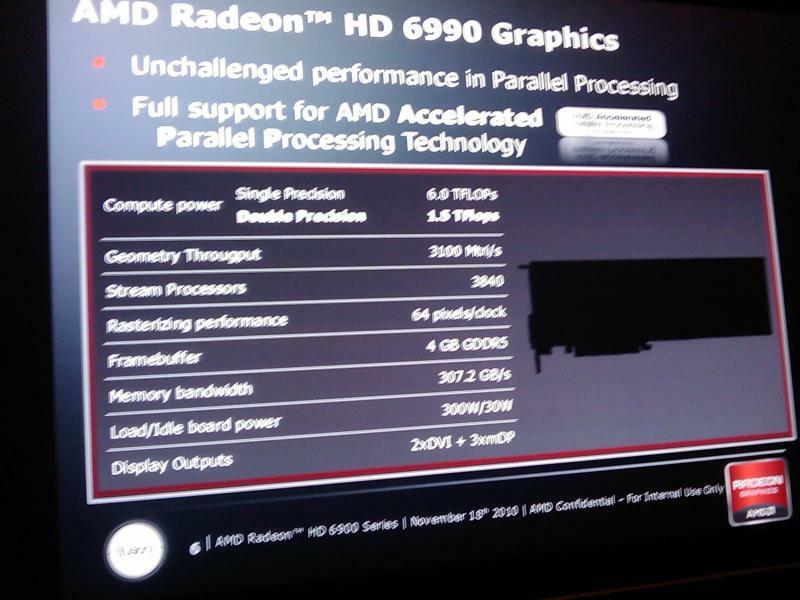 AMD’s Upcoming “Cayman” 6000 Series Prototype Leaked. 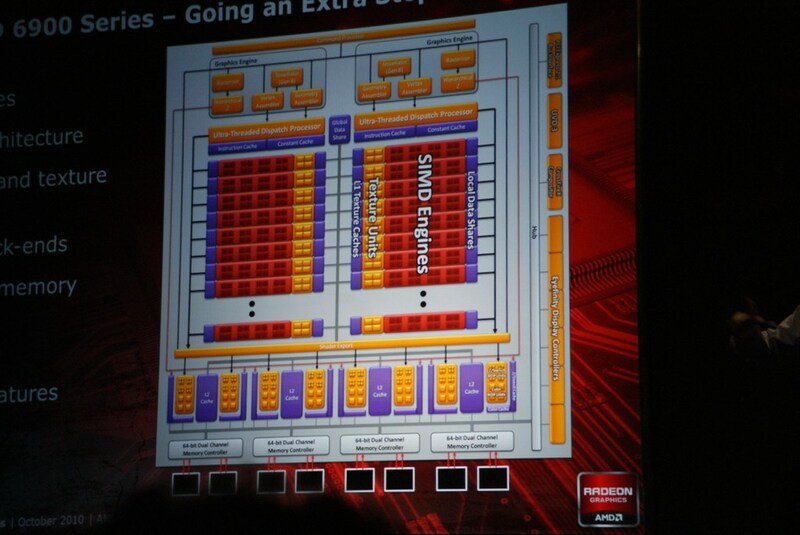 AMD’s Antilles Based GPU will Pack Dual Cayman Chips.